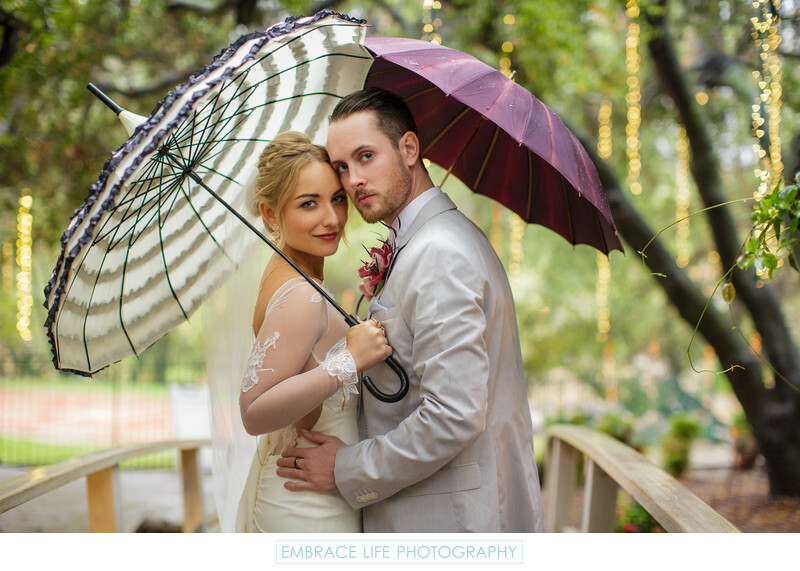 Gorgeous bride and groom under vintage umbrellas on their rainy wedding day at Calamigos Ranch in Malibu, CA. The bride, holding a black and white umbrella, is wearing a custom made, open back, long sleeve wedding gown, and the groom holding a burgundy umbrella, is wearing a light gray suit with a unique orchid boutonniere. They say that rain on your wedding day is good luck, and based on this photograph, who can argue?